How do you know your content marketing is effective? It’s not a rhetorical question, though it may seem like it. While it’s difficult to measure the success and return on investment of content purely quantitatively, you can absolutely use digital analytics to get some directional insights as well as insights that help you improve your approach. The good thing: there are no shortage of tools and guides to help you do that nowadays. The bad thing: it can be a bit overwhelming when you think about how to get started with digital analytics, especially if you’ve got a content calendar to keep up to date, not to mention promotion efforts to execute. This guide, then, will be actionable, and you should be able to walk away with some very crisp and specific ideas on how to use data to do content marketing better. 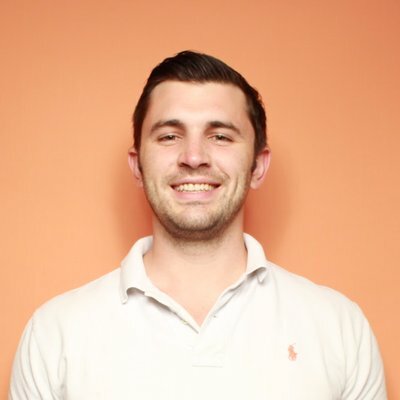 Let’s jump in with a few quick Google Analytics reports that can help you out. Like I mentioned before, quantitative analytics can’t tell you the whole story of content marketing and its effectiveness or ROI. There are just too many intangible and untrackable (at least unable to be tracked on site and with behavioral data) things, like brand perception, the relative effect on your SEO and domain authority, and even simple conversion attribution. But that doesn’t mean we shouldn’t use Google Analytics at all with regards to content marketing. There’s tons of insights you can pull simply by looking into your website visitors’ behavior, channel acquisition, and audience reports, all of which are easily accessible via Google Analytics. First and foremost, let’s get a good finger on the pulse of our content marketing contribution to the bottom line. Yes, if the site is set up correctly and is Google Analytics, we can get a rough idea on how much our articles are contributing in terms of conversion. This is time consuming at scale and is probably best done programmatically in something like R or Google Sheets, but I’ll walk you through how to find this out for one specific piece of content. For example, let’s say you have a high traffic blog post to the tune of 50,000 page views a month. One naturally must wonder if this traffic is meaningful or not in relation to business goals. So let’s get some data on whether or not people are converting after coming in via this piece of content. 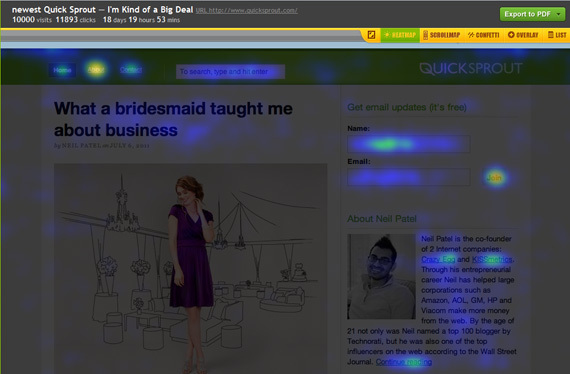 Copy the URL of the page you’d like to analyze. Set step two as your transaction parameter. 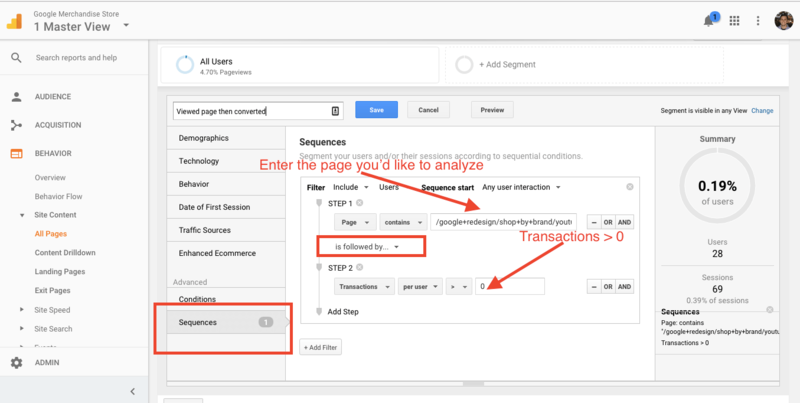 Your specific parameters may be different, but this is the general flow to get at a specific segment of users that have landed on a given page and then converted within that session. You can narrow the funnel further by choosing “is immediately followed by” instead of “is followed by” as well. It’s important that you set this up using a “Sequence,” and not just a “Condition,” because it matters what order these things happened in (a Condition might tell you if someone converted before viewing your piece of content, because order doesn’t matter). Quick note here: depending what your “conversion” is, you may want to use a marketing tool with native reporting. As you can see, with content (and if “email submissions” are your conversion) things can get tedious (especially if you put out tons of content). If you’re using a tool like Lead Flows, you can get all this info (conversion rate, which page people converted on, etc.) right from within the tool, or at least in your contacts reports. Obviously, there are benefits of having all your data in one place, which is what doing this report in Google Analytics can give you. But if you’re a content marketer, it’s nice to have speedy ways to access critical data like that, even if the data isn’t as rich or complete. It’s always the case that accessible and actionable data is preferable to super accurate or robust data that takes forever to access. Next, we can look into engagement by article. In the past, this was pretty difficult to do in Google Analytics and required quite a workaround, technically. Of course, you can get a good idea of the depth of engagement of a page with CrazyEgg, but sometimes you want to programmatically track the scroll depth on all content to do some deeper analyses at scale. We’ll chop up our scroll depth triggers by discrete percentage values – I recommend 25%, 50%, and 75%, though you can choose what you’d like. Basically, you can now set up a scroll depth trigger in Google Tag Manager with built-in variables. This guide from Krista Seiden walks through exactly how to do it. This is a great complement to heat maps tools and can help you hone in on which topics and pieces get the most engagement, and you can even think about how you’d optimize less engaged pieces. One last thing you can do in Google Analytics: find search traffic trends over time. Of course, this helps inform your SEO content strategy, and it can also help you detect losses in search traffic that may alert you to rankings droppings (or simply a drop in search volume for the term). There’s a simple and a more complicated way to do this (involved lots of Excel work). Let’s look at the simple way to get a quick grasp on your search trends. Now pick an appropriate time frame, preferably year-over-year (so March to August 2017 compared to March to August 2016) to eliminate seasonal biases (though not entirely). Now you’ve got a comparison where you can see the trends over time and if they’ve risen or fallen in aggregate, and also within individual posts. You can also order by absolute change to get the biggest changes in your data over that time period (though you’ll want to exclude anything with super low because of course some posts will be net new and thus will be infinitely larger now than in the past). Now you can see and explore the greatest changes in your search traffic over time and triangulate the causes. Go to Search Console and see if you dropped in rankings. You didn’t? Did Google add feature snippets or more ads to that query so it dropped you in prominence? No? Maybe the total volume for that term came down. Whatever the case, you can now explore the problem and any potential fixes. 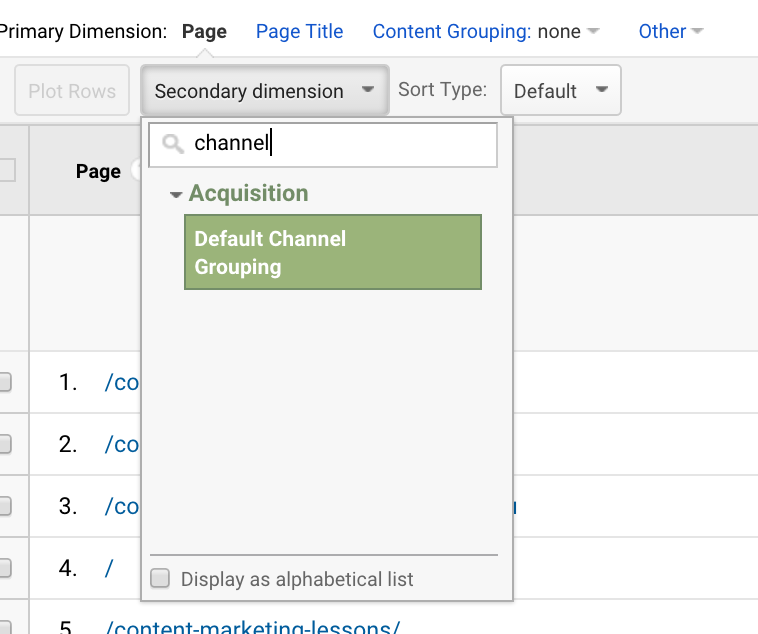 Google Analytics can give you a nice start on benchmarking your content marketing efforts, as well as diagnosing problems across your data sets. You can always go back and ask business questions to try to pull more insights from your data well. But if you’re an astute marketer who wants to maximize user engagement on your content, it’s likely you’ll want more. 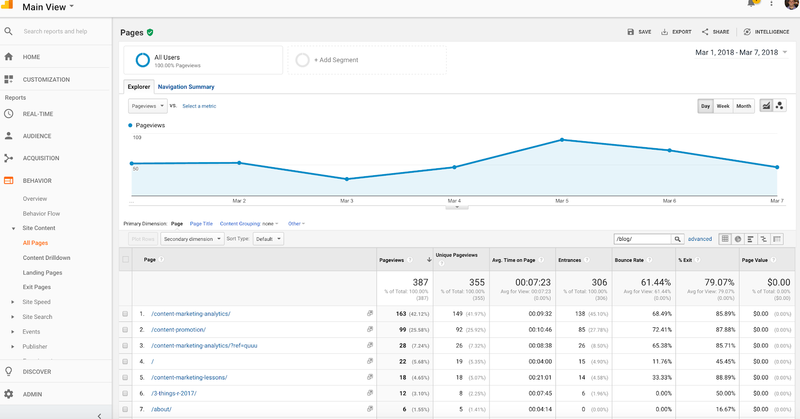 I’m a big fan of combining the quantitative and the qualitative, and there are several tools you can use to complement your Google Analytics analysis and reporting. 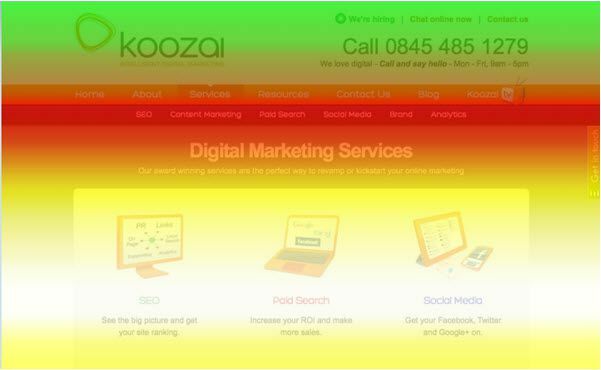 Remember our Google Analytics scroll depth tracking example above? We can quantify this very well with a GA setup, but we can visualize it even better with a tool like Crazy Egg. This can lead to some quick and actionable insights, especially on landing pages, but also on regular (long-form) content as well. 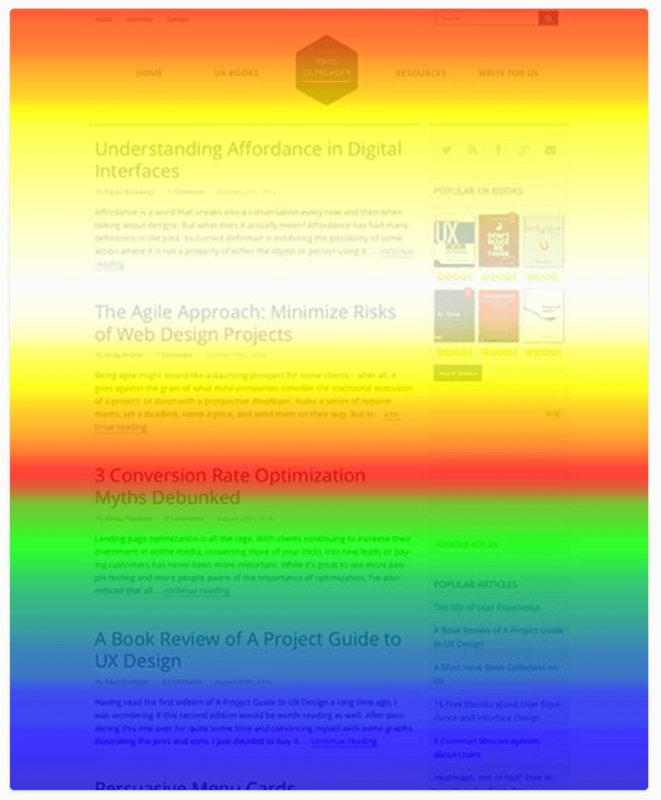 My favorite use case is definitely on landing pages, particularly those of the long-form variety. If your CTA is below what we call a “logical end” (a place where users drop off due to design or other cues), then you have space for optimization. Just keep an eye out for any hard lines and color changes. 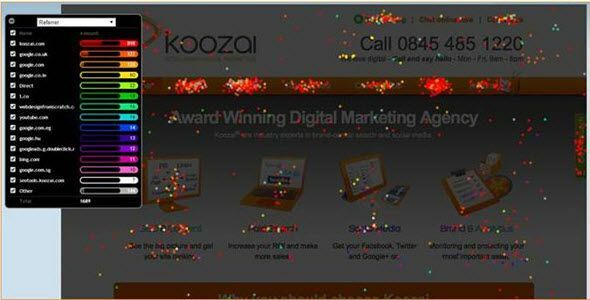 If any important information lies beneath those, lift it higher or design your page with directional cues to make sure people continue to scroll. Click maps are awesome for two reasons: simplicity and storytelling. 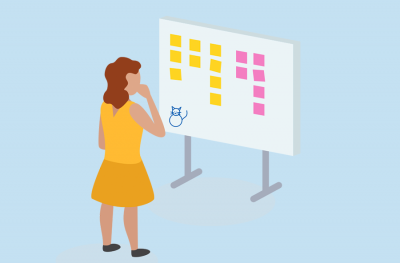 You can set up event tracking to get the same information, but it makes it much harder to visualize and it involves a level of complexity because of the required technical implementation. With a tool like Crazy Egg, getting this info (in a visual format) is pretty much plug and play. Plus, they look awesome. 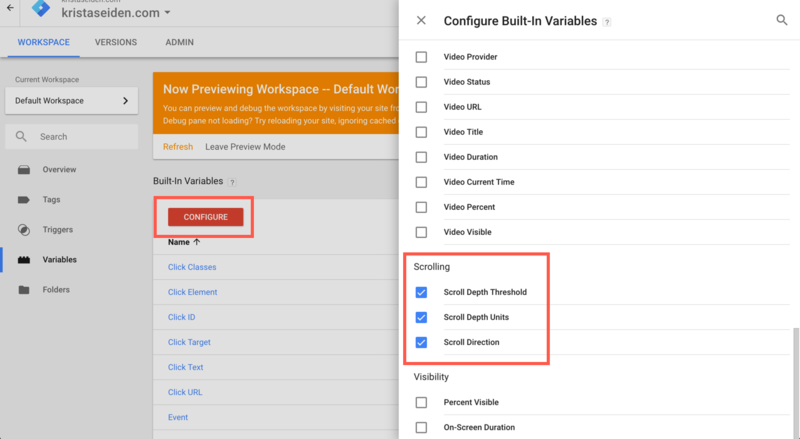 For example, more form builder tools have built-in analytics, and you can also (again) set up events in Google Analytics to track form analytics. In fact, you should use both of those things. 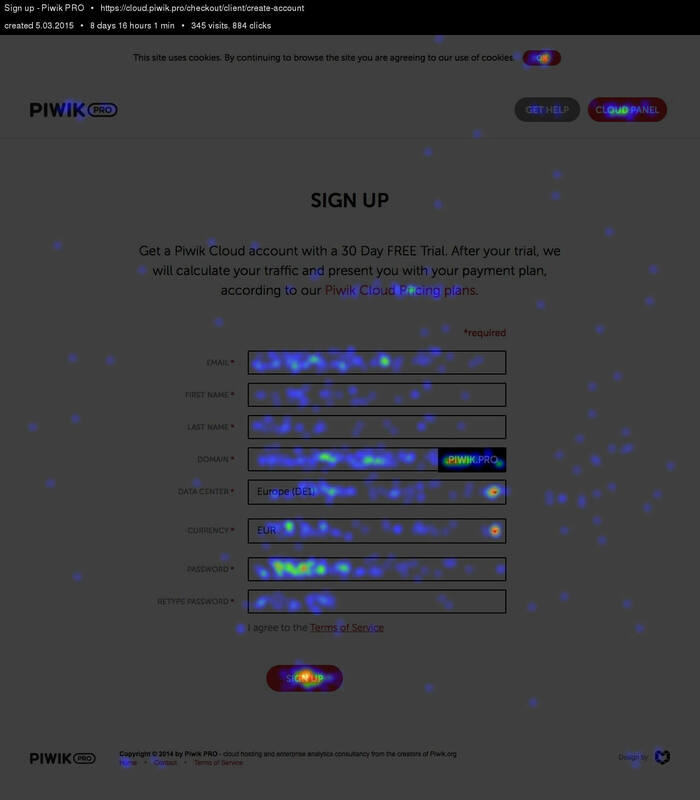 One of my favorite use cases for this is to see which CTAs are getting the most attention, especially if there are few on the page that lead to the same lead generation form or offer. In that case, there’s a bit of nuance in setting up an event in GA anyway, so it’s nice to get a visual representation to get some clear directional data on which button is more popular. These things are great for quickly explaining things to stakeholders and supporting your desires for experimentation or site changes. 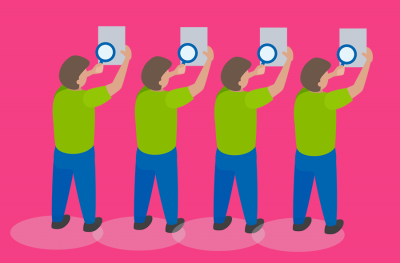 Surveying is an art and a science, and it’s traditionally been difficult to get an adequate and representative sample to give you useful insights. It’s still hard to do it rigorously and draw valid conclusions, but the technical hurdles aren’t really there anymore – not with affordable and easy tools like Qualaroo. Now it’s super easy to ask website visitors any question you’d, and you can even set up complex branching logic and targeting (and collect leads) with these things. As I mentioned, there are tons of questions you can ask, so it can be a bit overwhelming. When it comes to these things, I actually like to work backwards and first decide what I want to know (and what I’ll do with that information). In content marketing, it can be super helpful to know what can of audience you’re writing for and to see how people self identify. So getting some basic demographic information can be easy (and you can segment this by blog post and see if there are differences!). We often think of content marketing as a largely creative pursuit, leaving behind the idea of informing our efforts (and not reporting the outcome) with hard data. Well, it’s possible to track and analyze digital analytics data that can help you produce better content, get more engagement, and drive more results with your content. It’s all about asking the right questions and have the data (and ability to analyze it) to answer those questions.